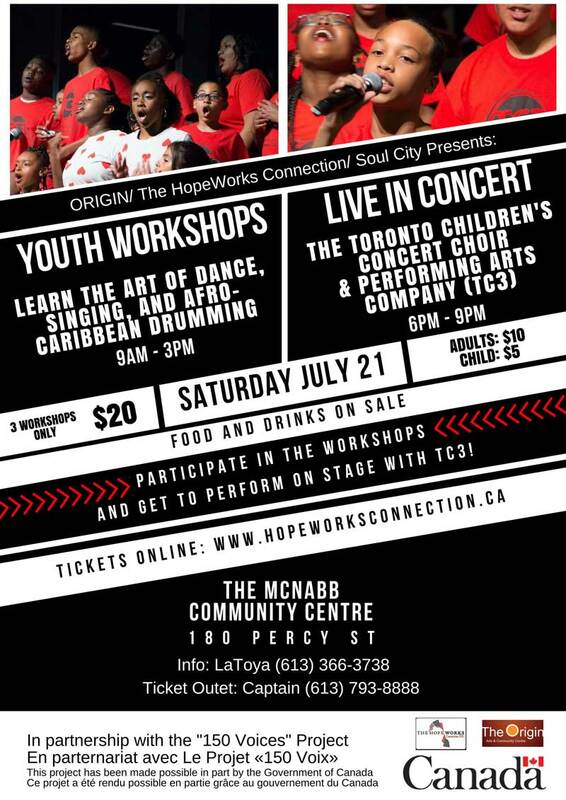 Calling all youth ages 7 – 17 years, join us in our Nation’s Capital on Saturday, July 21st and learn the art of Song, Dance, and Afro-Caribbean Drumming, TC3 style. 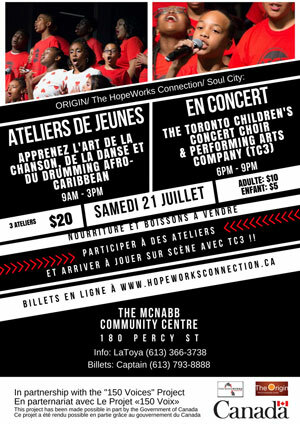 This great day of workshops will be followed by an electrifying concert. 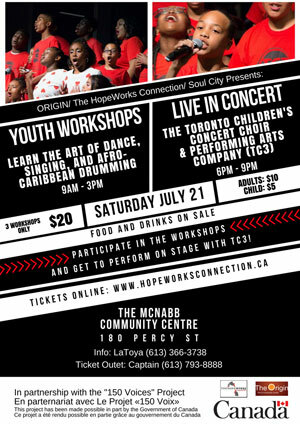 Purchase workshops and/or concert admission here. Click here to enlarge image. Cliquez ici pour agrandir l'image.